I believe that there are many people who love Starbucks or those who can’t go by a day without having their daily Starbucks fix. But today brings us the update for all Starbucks merch collectors! Starbucks will soon be releasing the limited edition Snow Globe. From what we’ve gathered, each country have their different symbolic item inside the snow globe and for our country, it is no surprise that Malaysia’s version is our national pride, the Tiger! Pretty, isn’t it? Each globe is retailing at RM138.00. If you’re getting someone a gift, you can also consider the Starbucks holiday gift cards as a gift giving option. Of course, there is also the Starbucks annual 2019 planner. So this is how you get your hands on the Starbucks 2019 planner- Purchase any 3 Grante or Venti sized Starbucks Holiday beverage, or 12 other Grande or Venti sized Starbucks handcrafted beverage. 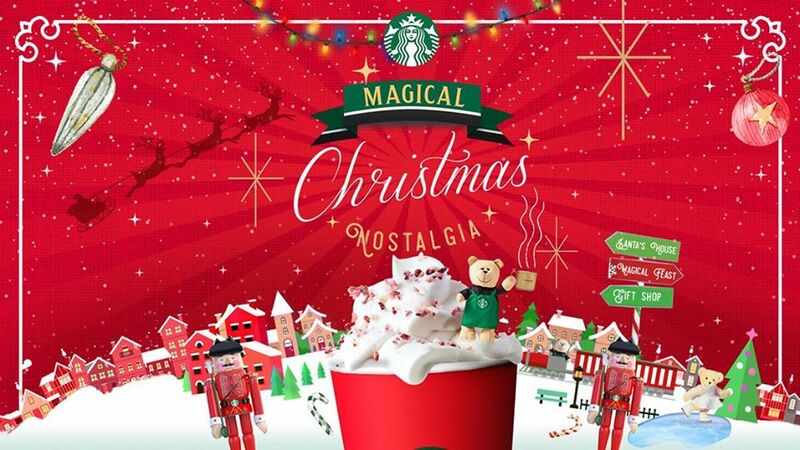 This has been on going since 20th of November so there are still time for you to purchase your Starbucks beverage! That’s not all! Starbucks also come out with the Unlock the Magic of Joy gift card. Available since the 15th of November, this magic gift card is very interesting because you will never know what is inside of the card. So to know what you actually won, you’ll need to scratch the grey surface off, just like a scratch-and-win! It could be anything-coffee, cake or even 1 year of free Starbucks. Who knows? For you to get one of these magic card, all you have to do is spend up to RM38 (excluding SST) and you can get the gift card. 1 receipt entitles you with 1 gift card. You are able to get one of this from any Starbucks store (except for Starbucks kiosk).